Winners will be announced in mid-December. If you already started a submission, click here to finish it now. This is the 2nd annual international call to discover the best visual storytellers today — from all corners of the world! We are searching for photography in Documentary, Personal Stories, Photojournalism, Fictional Narratives, and any other photography that tells a story. You are invited to participate with your best work! We believe photographs tell stories that can reach the broadest audiences — across all cultures, languages, political borders and age groups. We are wide open to all themes and approaches. A picture is worth a thousand words—show us your story! 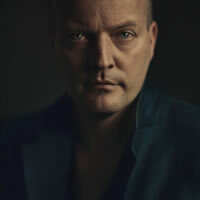 Lars Boering is the Managing Director of World Press Photo, the world's leading international contest in visual journalism. He has been actively involved with photography for many years. 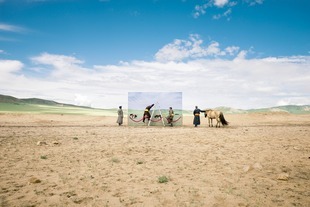 He has (co)produced exhibitions with photographers, Festivals, museums and art foundations. 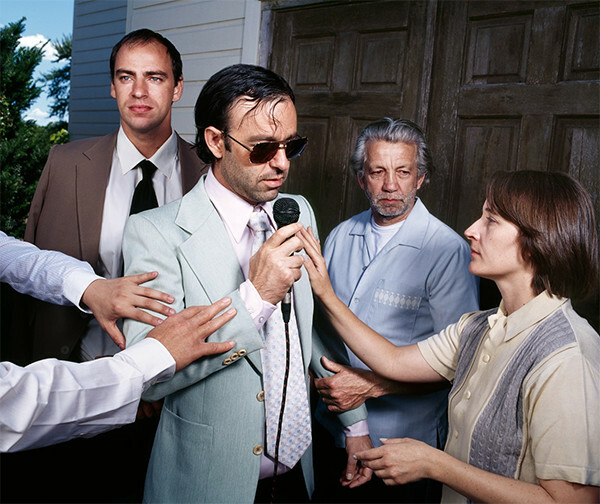 In 2008, he founded Lux Photo gallery: showcasing photography that demonstrated creative integrity and intent, originality, narrative and aesthetic quality and a high level of craftsmanship. At the end of 2014, he stopped working for the gallery. He also worked as the director of the Federation of Dutch Professional photographers, improving the working position of photographers helping them to safeguard their copyright. 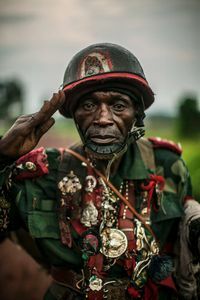 In 2014 he merged all member associations into one strong professional organization called Dutch Photographers (DuPho). In 2010, he co-founded the successful master class 'Advanced Storytelling' at www.noorderlicht.com, where he still teaches. 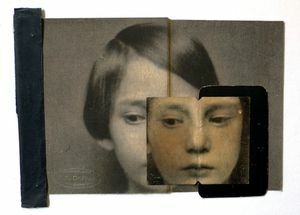 She is a portfolio reviewer (Les Rencontres d’Arles, Hamburg Triennale, Visa pour l’Image, LensCulture FotoFest, Braga). 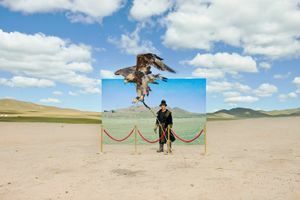 She has curated photography exhibitions at Central-Dupon (Paris) and taught an Editing and Visual Storytelling masterclass (PhotoLux Festival, Lucca). In 2015 she will be on the first jury of the Young Curators PhotoLux contest. 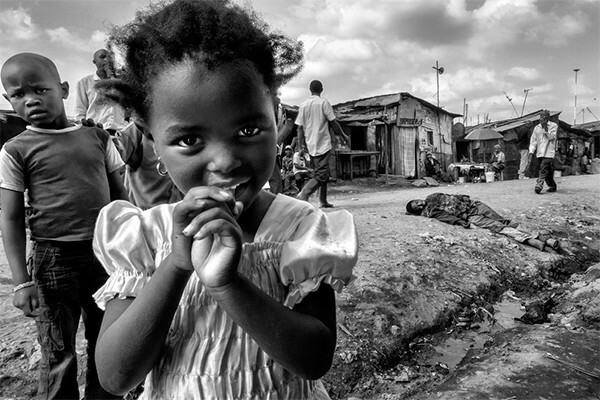 She is a nominator for Prix Pictet. In 2009, Matt Shonfeld and Frank Evers founded INSTITUTE, an artist management company serving media, editorial, advertising, entertainment, fine art, book publishing, online/mobile media and corporate clients. 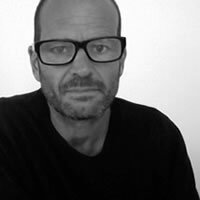 Matt has been involved in photography for 15 years, initially as an agency photographer and latterly as an agent/artist manager. He is an extremely keen cyclist and even holds a level 2 coaching award. He was awarded the Freedom Of The City of London in 1998 and lives in Bath with his wife and two children. Newsha Tavakolian was born in 1981 in Tehran, Iran. 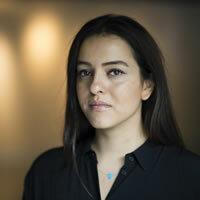 A self-taught photographer, Newsha began working professionally in the Iranian press at the age of 16, at a women's daily newspaper “Zan.” At the age of 18, she was the youngest photographer to cover the 1999 student uprising, which was a turning point for the country's blossoming reformist movement and for Newsha personally as a photojournalist; a year later she joined the New York-based agency Polaris Images. In 2002, she began working internationally, covering the war in Iraq. 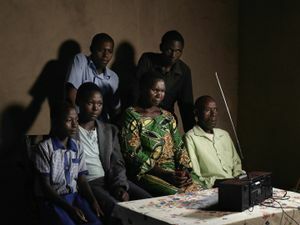 She has since covered regional conflicts, natural disasters and made social documentary stories. 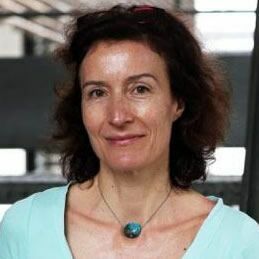 Her work has been published in international magazines and newspapers such as Time Magazine, Newsweek, Stern, Le Figaro, Colors, The New York Times, Der Spiegel, Le Monde, NRC Handelsblad, The New York Times Magazine and National Geographic. 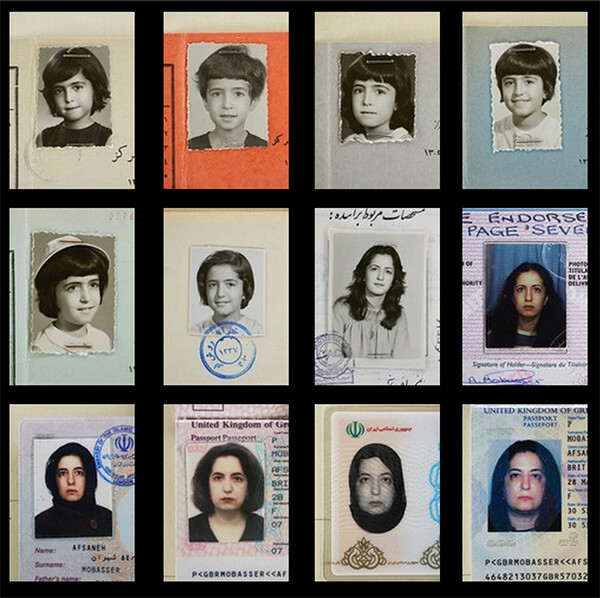 In 2009, Newsha covered the Presidential elections in Iran, which ended up in chaos and forced her to temporarily halt her photojournalistic work. 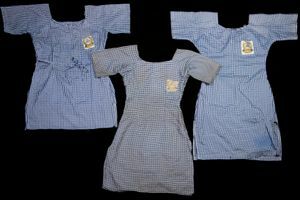 Instead, she started working on projects that experts describe as a mix of social documentary photography and art. Her work has been displayed in dozens of international art exhibitions and has been on show in museums such as the Victoria & Albert, LACMA in and the British Museum, and the Boston Museum of Fine Art. 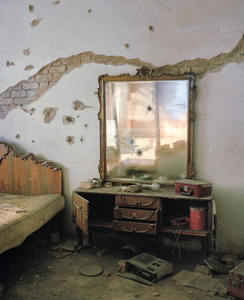 In 2014, Newsha was chosen as the fifth laureate of the Carmignac Gestion Photojournalism Award. In 2015, Newsha joined Magnum Agency where she will be a nominee for two years. Just recently, she was chosen as the principle laureate of the Prince Claus Award. 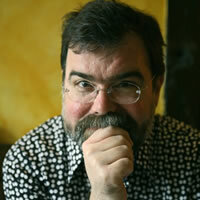 Michael Mack is a publisher, editor and designer of illustrated art and photography books. 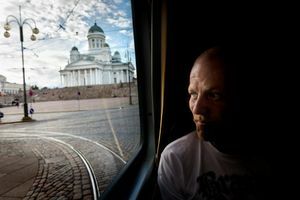 Jim Casper is the editor-in-chief and publisher of LensCulture, one of the leading online destinations to discover contemporary photography from around the world. 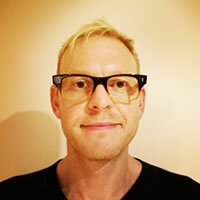 As an active member in the contemporary photography world, Casper organizes annual international photography events, travels around the world to meet with photographers and review their portfolios, curates art exhibitions, writes about photography and culture, lectures, conducts workshops, serves as an international juror and nominator for key awards, and is an advisor to arts and education organizations. He serves on the board of directors at SPE, the Society for Photographic Education, the world’s largest association of photography educators. With these Awards, we are eager to discover people who are truly great at using the visual language of photography to tell amazing, remarkable, unforgettable stories. 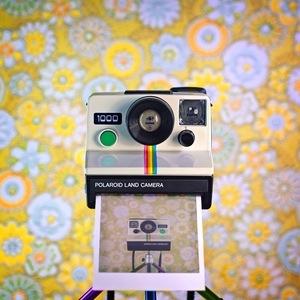 If you are “fluent” in the language of photography, please share your stories with us! Visual storytelling is really at the heart of how humans communicate with each other — now more than ever. From the very birth of photography, people have used pictures to tell stories, to pass along wisdom, to express their dreams and fears and imaginations, and to bear witness to events that they have experienced and feel a need to share with others. 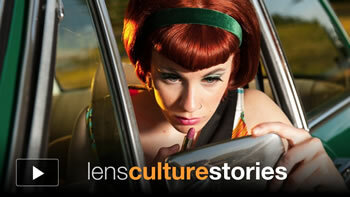 At LensCulture, visual storytelling is one of our biggest passions. Over the past decade, we've published thousands of stories that have been enjoyed and appreciated by millions of readers worldwide. 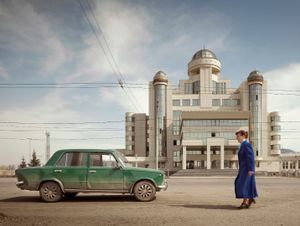 There is no formula for success; remarkable stories come from many different stylistic approaches — straight documentary, intimate personal stories, fictional narratives, photojournalism, crazy dream sequences, single-frame narratives, and many more. We would love to discover your stories and share them with photography lovers worldwide. Please enter your best work today! 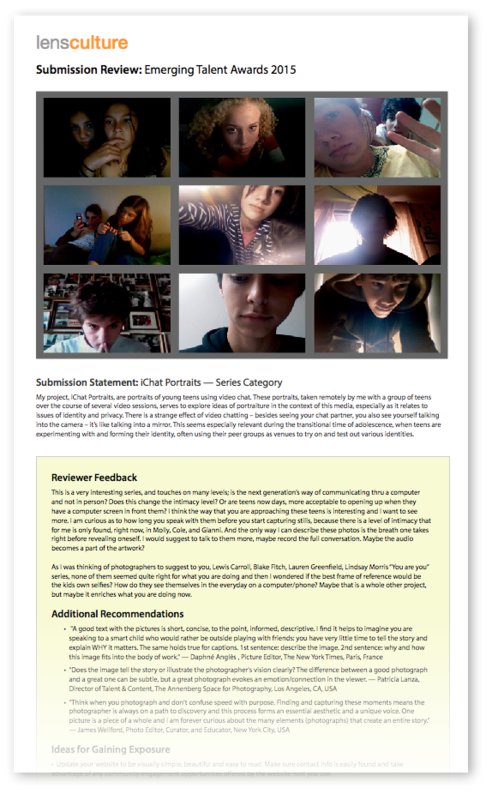 Documentary, Photojournalism, Personal Stories, Fictional Narrative and an Open Category. Documentary photographers are invited to submit in-depth investigations of an event, situation or idea in vivid detail and nuanced understanding. This genre is widely-defined and thus is open to many interpretations — all approaches and themes are welcome here. Photographers can submit Fictional Narratives, in which they develop visual stories where anything is possible. Truth mixes with fantasy and we are plunged into worlds of fact, fiction, mystery and imagination. These projects capture people, places, things, and ideas that may or may not exist in the real world — but they come alive through a series of photographs. Personal Stories show us vivid subjective accounts from a unique point of view. These can be narratives about you, your family, a significant personal event or someone else in the world. Many of these projects tell specific stories that also have a universal appeal. They are filled with empathy and are rich in details, style and psychological meaning. But we’re always open to all approaches and new ideas, too! 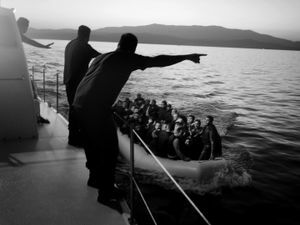 Through a truthful visual report, photojournalism offers us penetrating insights into the world around us. Action-packed moments are frozen in time, allowing others to later revisit these stories in order to unpack and understand the details of complex, real-life events. 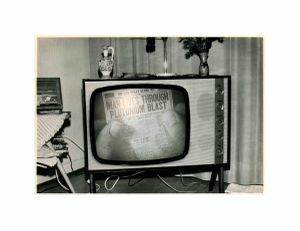 These stories reveal to us things we would have otherwise missed during the everyday occurrence of news, from anywhere around the world. Some photographic stories don’t fit easily into well-defined categories. 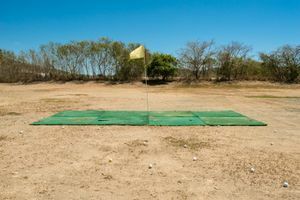 A series of photos may be linked poetically or lyrically without any linear narrative or rational logic — but they evoke emotions, understandings and feelings in powerful ways. 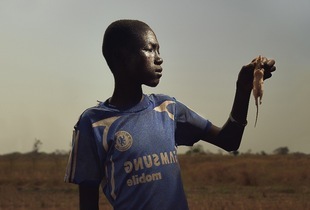 We love discovering new forms of visual storytelling. 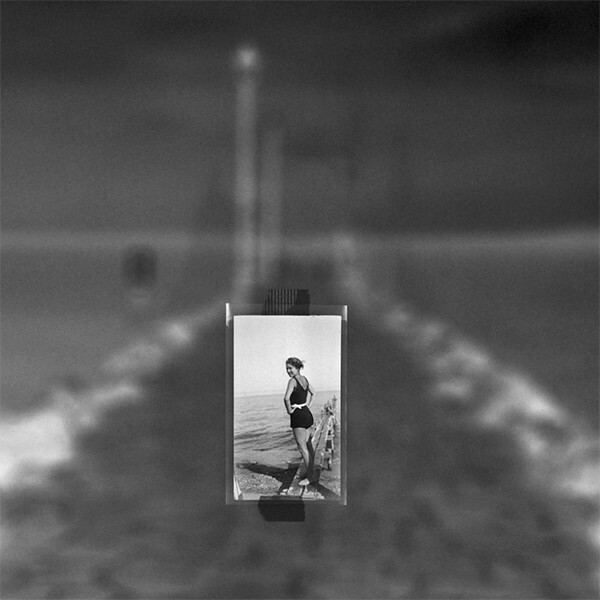 What is the photographic equivalent of haiku, pop songs, short stories, symphonies or street art? Share your vision with us! Single Image Entries can be submitted under this category. 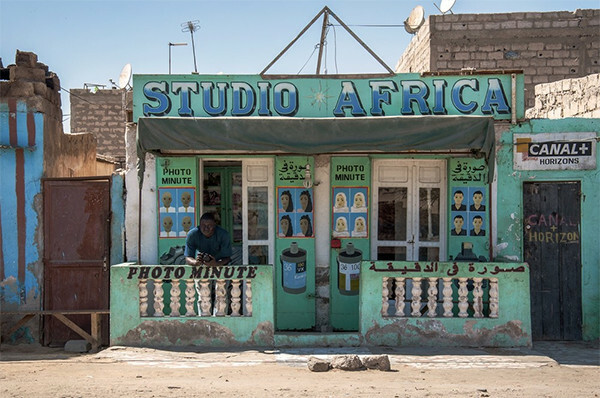 *Editors' Picks: LensCulture's editors will select photographers during the competition for immediate exposure to our global audience (before the judging begins). 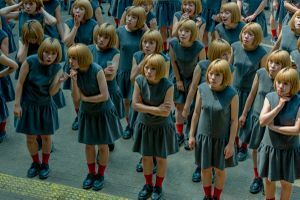 Also, over 100 of the highest-rated entries will gain visibility with LensCulture Insiders and receive an invitation-only LensCulture Portfolio account, which serve as a great platform to reach our huge global audience. Move your story forward! One talented visual storyteller will win a one-month residency at the newly launched Docking Station in Amsterdam (early 2016). You will connect with a world-class creative network and give your visual story the boost it needs to travel the world! 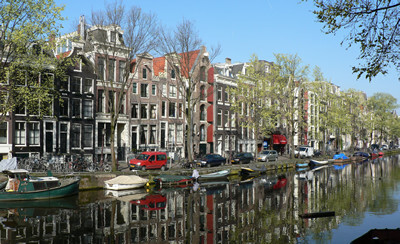 During the residency, you will stay at the "Docking Station Hub" (an apartment and workspace in Amsterdam), and will have the chance to connect with other talented people who can help you take your project to the next level. Get inspired, inspire others and leave fully charged! 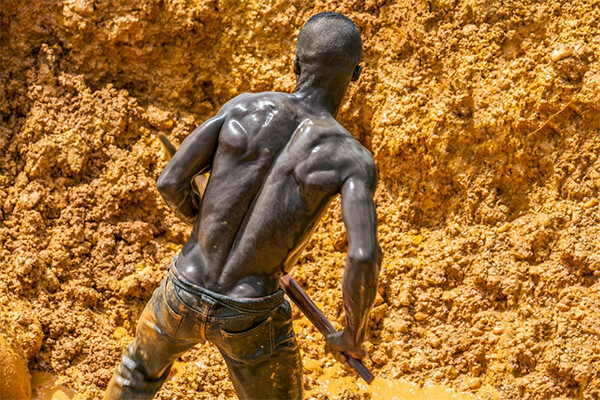 Work from the winners will be screened at photo festivals and events worldwide throughout the year. We are actively partnering with international photo festivals to showcase our competitions' winners & finalists. 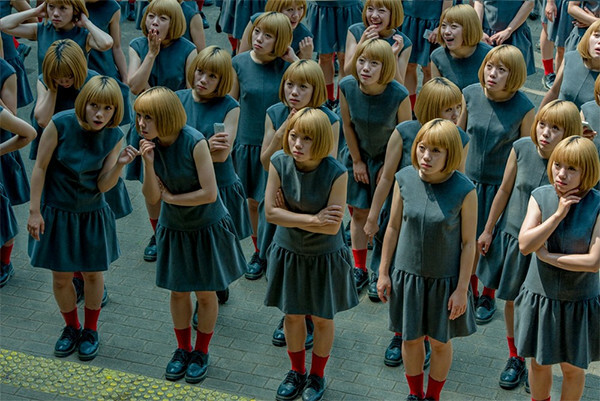 Our growing list of festivals includes: FORMAT International Photography Festival, Bangkok Photo Festival, Copenhagen Photo Festival, Belfast Photo Festival, Athens Photo Festival, Circulation(s) Photo Festival, Tokyo International Photography Festival, Voies Off Arles, Photolux Festival in Italy — with many more to come! Work from hundreds of the other top-rated photographers from this competition will be shared with LensCulture Insiders, our network of influential names in the photography industry. We have significantly expanded our Insiders network to over 500 photo editors, curators, gallerists, and publishers. We believe this kind of exposure is critical for both emerging and established photographers to gain valuable jobs, opportunities, and global exposure in print and online media. A museum-quality competition catalog featuring the winning photographers' work will be distributed to hundreds of LensCulture Insiders and industry representatives including influential editors, curators, festival directors, publishers, gallery directors and more. The Insiders will have the opportunity to see the award-winning photographs in a beautiful printed form. 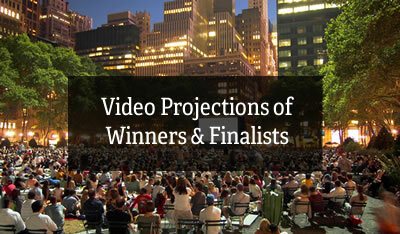 Winners & Finalists will be given full-page spreads. Just by entering your work, you have an opportunity for immediate exposure in our Competition Gallery and across all our online channels. On average, all of our featured entries typically receive a total of 4 to 6 million views on Facebook. Our editors review incoming submissions on a daily basis — so don’t wait until the deadline to submit your work! All Winners and Finalists will have the opportunity to participate in a live, online review of their work with photo industry experts using our new, online learning platform — LensCulture Sessions. Get valuable feedback and expert advice and connect with other winning photographers from around the world. Work from the Top 35 photographers will be shared across our huge global audience including our web site, email list, mobile platforms, and multiple social media channels. 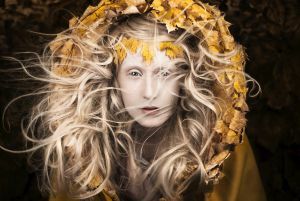 We have found this to be a very effective strategy for getting photographers exposure that leads to career-boosting opportunities — see our Success Stories. 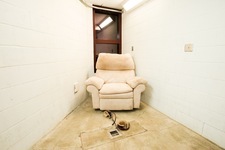 Promotions include a Feature article on LensCulture, Facebook, & Flipboard. All Winners, Finalists (plus hundreds of the top-rated photographers) will gain access to a free, invitation-only portfolio account on LensCulture! This is an invaluable platform to showcase your work to our 1.5 million global audience as well as to our network of LensCulture Insiders. 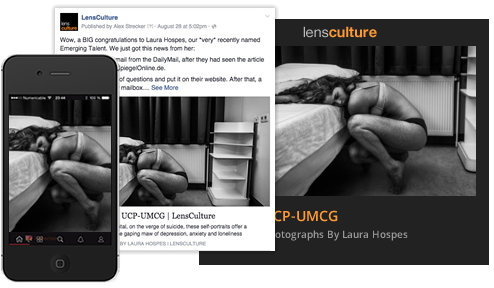 LensCulture’s editors will also be able to discover your latest work and potentially feature it in articles, Editors’ Picks and social media. Free Submission Review with Every Full Series Entry! 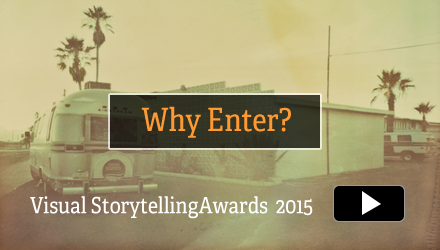 Enter a full series in Visual Storytelling Awards 2015 and get a free submission review! We believe that every photographer who enters deserves thoughtful feedback on their work. 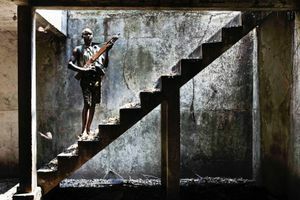 That's why we've recruited over a dozen top photo editors, portfolio reviewers, curators, and other industry professionals to give you constructive feedback on your photography plus recommendations for improving your practice. 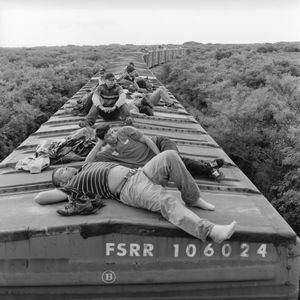 We are open to all photography that tells a story about our world. Stories from all points of view, from all over the world, from anyone with a tale to tell. If you are a photographer using visual narratives in any of your photos, show us your story! Most of all, we want to be surprised and delighted: learn things we didn't know; understand situations from different points of view; see stories that sear themselves into our imaginations and become unforgettable. We want to be moved emotionally and intellectually. Inspire us! Join us in supporting these important projects that highlight some of the best in Visual Storytelling today. JUST PUBLISHED! 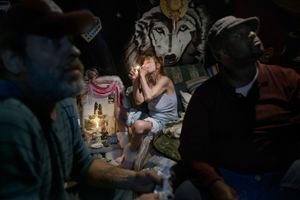 This inspiring collection of images by 10 award-­winning photographers tells the story of today’s America—and provides an enduring legacy that will inform the way we address our future. 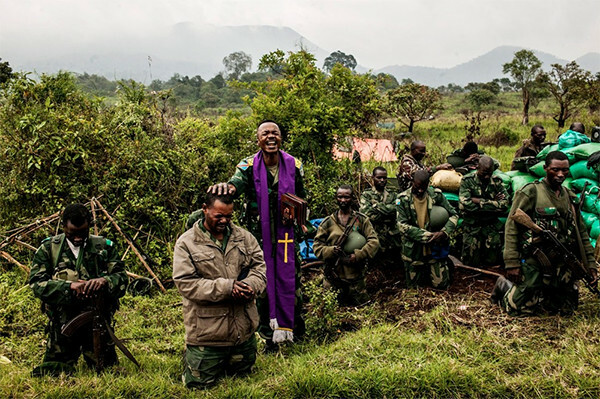 This nonprofit collective includes some of the country's most celebrated photojournalists. 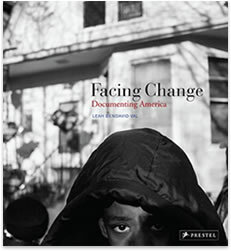 Order your copy of “Facing Change: Documenting America” and support this important organization. 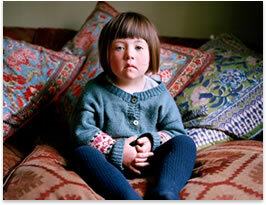 LensCulture award-winning photographer Sian Davey shares the personal narrative of raising her daughter Alice. Deeply felt without being sentimental, the work is at once tender and beautifully seen. This moving project is now in the process of becoming a book—you can help it become a reality by backing Davey’s Kickstarter campaign. Social Documentary Network’s new magazine featuring leading documentary photographers from across the world exploring global themes. 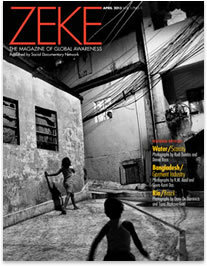 ZEKE combines powerful and large photographs with in-depth essays. Includes interviews with by Matt Black and Ed Kashi. Available in print and digital. 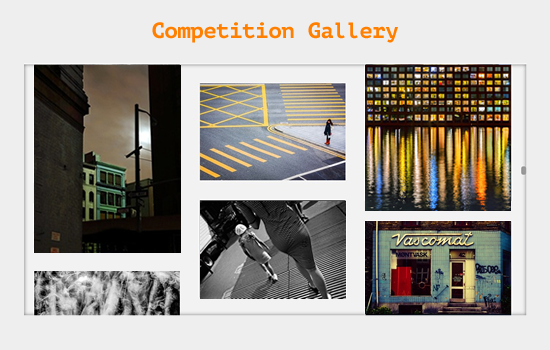 We believe that competitions are one of the best ways to boost your career in photography. 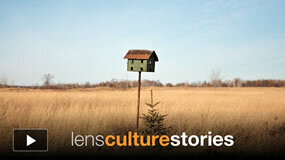 Hear how the lives of these photographers were impacted by winning a LensCulture competition. Kurt Simonson spent over 10 years working on his "Northwoods Journals," a photographic journey into his ancestral narrative. Learn more about this magical series and also how Kurt was able to share his story with the world. 4 1/2 years ago, Raina Stinson decided to follow her dream and become a photographer. 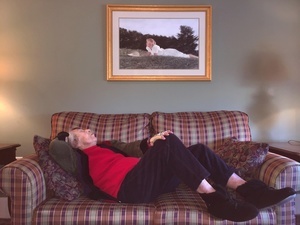 At the top of her to-do list was to be recognized by LensCulture. Today, her work has been shown all over the globe—come hear how it all happened so fast. Realizing that my work had been noticed among hundreds of professional, high-quality works surprised me a lot—but it was such a good reward after all those hours I spent on the project. The award has helped me a lot in terms of visibility! Just after the official announcement, my work was featured in Il Post (Italy), Hyperallergic (US), La Reppubblica (IT). I was also interviewed by Mull It Over? (UK). Since then, it has been shown at festivals in Georgia, Slovenia and France! 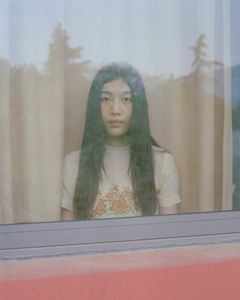 So a lot of good news, and it started with LensCulture—thanks a lot! A lot has happened since the announcement! First, I was selected for the Photobook 2014 exhibition, and shown in a group show in Hudson, New York at the Davis Orton Gallery, as well as at the Griffin Museum of Photography, where the book "Gold Fever" is on show. One of my images was also selected for Photofusion Salon/14, and shown at the Photofusion Gallery in Brixton, London. I've been published on Andrew Sullivan's The Dish, had an interview on foto39 and noticed hundreds of blogs/reblogs about the work on Tumbler. As a result of this exposure, I saw huge increase of traffic to my site, and I have almost sold out of my first run of books. Many thanks to everyone at LensCulture for recognizing my work and offering me your platform for wider exposure! 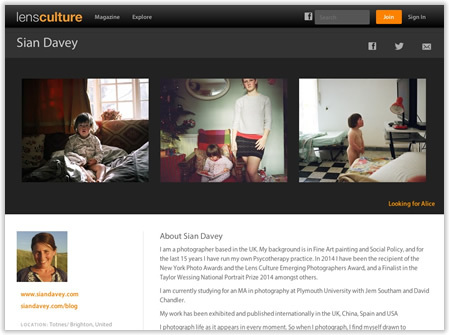 As you can see, it has helped to catapult my work before a worldwide audience, including showing at the 2015 Belfast Photo Festival opening June 6, being shortlisted for the Festival Images Vevey Photography Award and the 2015 Athens Photo Festival, and showing my first solo exhibition, opening at Fovea Exhibitions in Beacon, NY on June 13. Winning was by far the biggest highlight of 2014...it gave Tomasz and me some really huge exposure. After the results were announced, we were contacted by various publications both in print and online. The traffic on our LensCulture profiles as well as to my personal website increased immensely. We were approached and interviewed by the biggest Polish daily newspaper. We made contacts with photographers, curators and galleries worldwide and received positive feedback from various individuals, which gives us even more enthusiasm to keep it going. My work “monodramatic” was featured in U.S. news site Mashable! It was shared by over 2.2k people. What a nice surprise. It’s thanks to you and the LensCulture team. I have been working on the pages of this book for a long time and FINALLY with this win I am getting the attention I need to move forward—and it is keeping me motivated!! After the winners were announced, Feature Shoot Magazine interviewed me for their blog and The Guardian also contacted me to feature my website and the "Ms. Ulmer" series in an online gallery. My hope is to find a publisher and get this book in print by the end of the year! And as an extra bonus, I will have Ms. Ulmer at the book signing. Since the announcement, I have been contacted and reconnected with a lot of the traveling kids that I have photographed. I have been contacted by family members (moms and aunts) of these kids who are thanking me for making their children seen. One aunt wrote a beautiful essay as a reaction to the image that I took of her nephew...All in all, this exposure has helped bring about more discussion about my project and helped me connect to people who will add to the depth and understanding of my subjects. 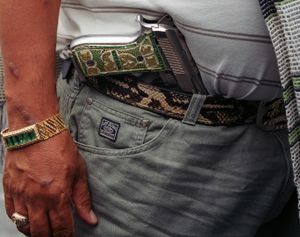 Some great news—two blogs have already committed to featuring my project and then I was contacted by CNN PhotoBlog! This has been nothing but a positive experience. In just three weeks since the announcement, Photo District News (PDN) picked up my swimmer series for online usage. 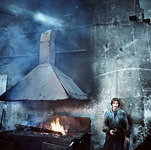 S Moda Magazine, a suppplement to El País journal in Spain, asked me for some images too. I used my 2nd place win for a general promotion email to all my clients and magazine contacts, which led to a job with Afar Magazine! Since I won, it gave me the courage to pursue a more personal type of work and I entered my project "The Key Is Not To Blink" ...with a lot of success. This includes the People's Choice awards, 3rd place, Portraiture – Culture Px3, 2nd gold, Prix de la Photographie Paris 2014, and my first solo exhibition this year in Denmark at the Artcenter Silkeborg. Plus, my images will be projected during Ballarat International Foto Biennale in August 2015. The award has given me incredible exposure, not only in my country, but internationally. 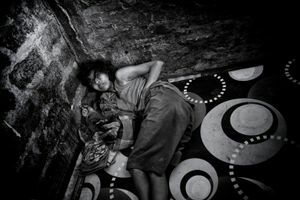 LensCulture was one of the first and main awards that "Beauty In Hell" received, and it definitely helped to give credit to the project and to my work in general. Thanks to your exposure, I was invited to quite a few solo and group exhibitions in different countries and it helped increase the value of my prints and photobooks. Also I've been contacted by the Wall Street Journal who asked to do an article about "Beauty In Hell," and publish all 20 photos. Being one of the winners and getting published on LensCulture was great because it offered my work immense visibility, more than I've ever had. The award gave me a lot of confidence and motivation. It's the first international award I received and it is great to know that my pictures can be presented alongside amazing, diverse work from photographers I admire. Being chosen resulted in an immediate, huge jump in the amount of attention my work receives. I was photographing on a small island north of Sardinia when I got the news, and by the time I got back to my computer, my inbox was flooded with mails from well wishers and print purchase inquiries. Within a few weeks, I had gotten several interview requests, a publishing request and hefty jump in traffic (double, in fact) on my website. Now, I am organizing an exhibition of the work in California and I think that winning the award definitely helped me secure this show. In November 2014, my project was named an editors' pick. In December, there was a front page article. Then things really started picking up! CNN editors contacted me for an article, followed by LUI magazine, 500px, PetaPixel and La Repubblica.it. Next were the German newspapers and German television channel SAT1—which produced a short movie about the topic "selfies" and "CameraSelfies". 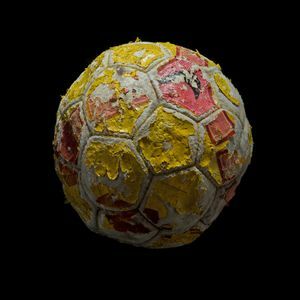 Now, the project is being published in major German photography magazines like PROFIFOTO, which will feature the work on its cover as well as with 8-page portfolio. But it all started with your editors' pick and feature last year. 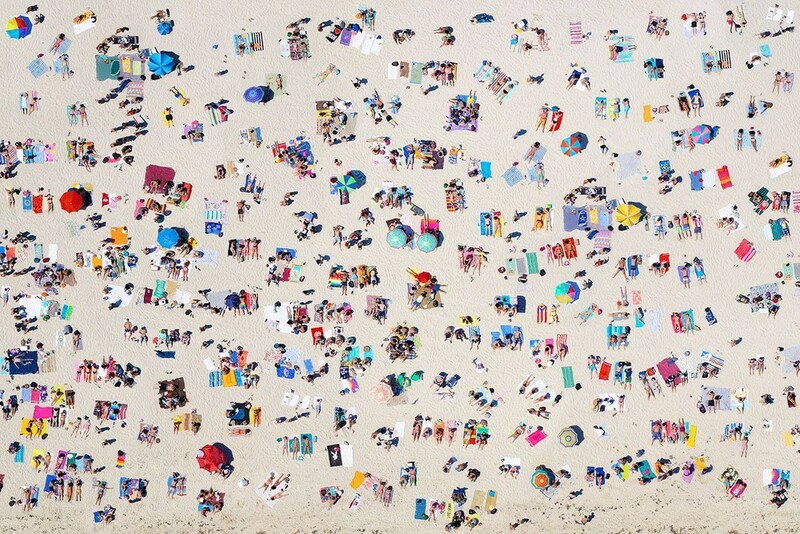 From then on, the project has been truly viral on the internet and it's this attention that has led to interest from photo magazines, online galleries and publishers around the world. So, thanks to LensCulture for all the possibilities it has opened up for me and my photography! 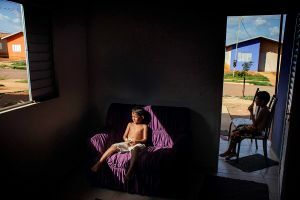 Since winning the LensCulture award last year, a number of positive things have occurred: A 1st Prize at the World Press Photo Awards, a feature in Smithsonian Magazine (due January 2016), contributing the photographs to a 30 page story in National Geographic Magazine, a physical exhibition at Photoville in Brooklyn and a projection at the Visa Pour L'image festival in Perpignan, France! Finally, in September, I'll spend several weeks following a scientific expedition in Kenya for National Geographic Magazine. It's been an intense year and I'm incredibly grateful for the recognition. 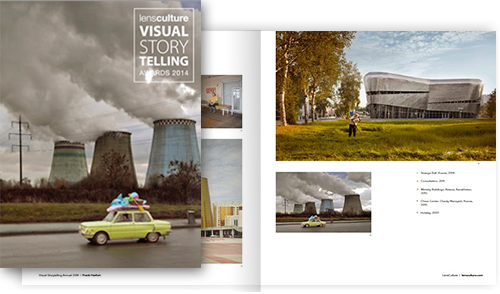 Printing of the LensCulture Visual Storytelling 2015 Annual generously provided by Edition One Books.